Make sure your facility is compliant with smoking laws by designating smoking areas and making sure your employees know where they are. 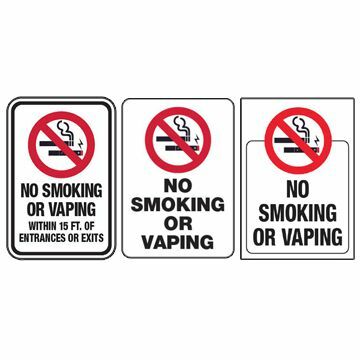 We have plenty of signs available to indicate smoking and non-smoking areas, including decals and labels perfect for class doors or areas where a standard sign won't work. Also, be sure to check out our state-specific signs to make sure that you're in compliance with regulations for your state.